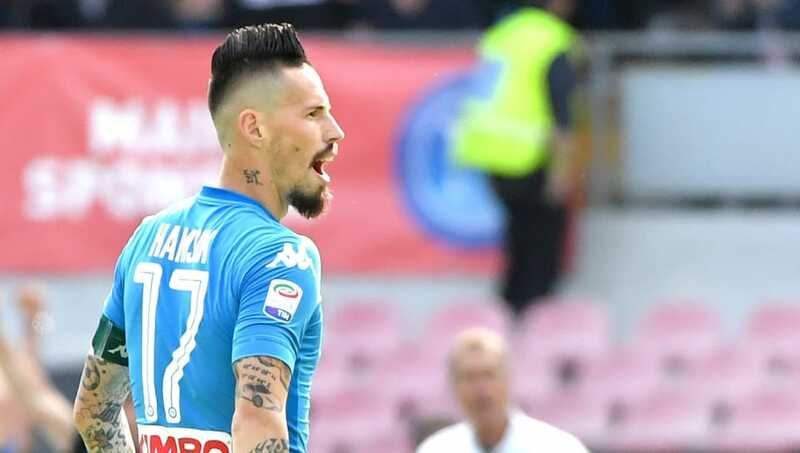 Marek Hamsik has suggested that his time at ​Napoli may up in the wake of the club's ​Serie A disappointment, while his own father has spoken of the possibility for his son to move to China. The Partenopei battled Juventus right down to the wire for the Scudetto in 2017/18, but a late surge from Max Allegri's side, coupled with some disappointing results on Napoli's end, saw the Old Lady lift the trophy for the seventh straight year. Hamsik and his teammates were left disappointed after having come close yet again but failing to deliver, while the club's record goalscorer has admitted that he may be ready for a new challenge. “We believed we could finally get the Scudetto this year,” the 30-year-old Napoli captain told Pravda (via ​Football Italia). “I’m disappointed that we missed out on the title again. I’m sorry, because our great fans deserve this triumph, and I thank them for their great support. The Slovakia international has been at Napoli since 2007, when he arrived from Brescia. He has seen ​Juventus dominate the Italian top division for most of his career in Naples but can boast winning two Italian cups during his time with the club. Meanwhile, Hamsik's father has confirmed that the player is considering offers from three Chinese clubs and could move to the Far East this summer. He described the likelihood of his son making the move to the Chinese Super League as being '60-40'. “Their interest is serious but negotiations aren’t easy,” Richard Hamsik told Pravda (via ​Football Italia). “The problem is that it’s not the main transfer window in China right now, that only happens in winter. “So the first question, therefore, is when he would leave for China. Clubs have different ideas, the Asian season is up and running and Chinese teams have limits on the number of foreigners in their squad. “Another thing is that Marek still has a three year contract in Naples, so it’s all in the hands of his agents and his employer. Right now I see it as being 60-40 in favour of his departure to China. Now Marek's agent, Juraj Vengloš, is going to talk to the president of the club."